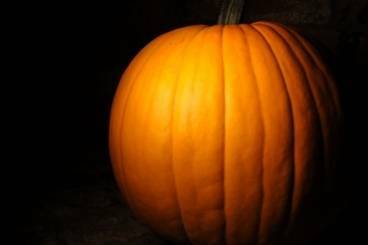 Discover our fantastic selection of Pumpkin Recipes and Cooking Ideas all written by our expert professional chefs at L'atelier des Chefs, based in London. 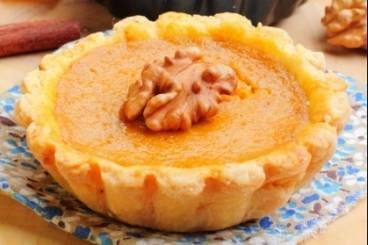 A delicious dessert perfect for halloween! 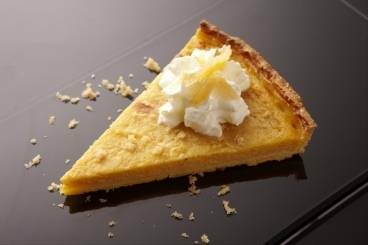 Pumpkin tart served with chantilly cream. 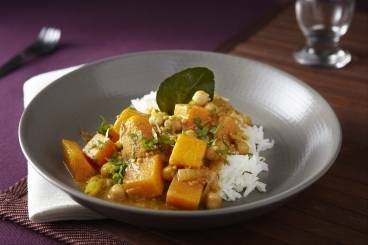 A spicy vegetarian curry made using pumpkin, chickpeas, red chilli and garlic served with fragrant basmati rice. 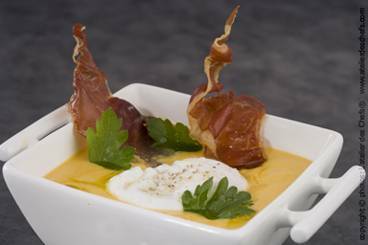 A warming, creamy pumpkin soup served with a poached egg, chestnuts and strips of cured ham.